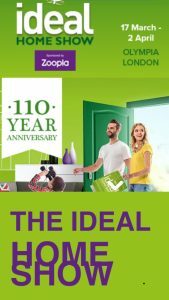 Georgina will be launching her book ‘The Street-wise Guide to Buying, Improving and Selling Your Home’ at the Ideal Home Show. She will also be signing books (with a special show discount) and presenting on both the Super Theatre and Styling Stage. All times below. Friday 22nd March: You can catch her there in the afternoon at the expert hub. Saturday 23rd March: She’ll be doing official book signing between 11am-1pm and 3-5.30pm at the expert hub. Thursday 28th March: She’ll be presenting at the Super Theatre at 3.30pm and 7pm and will be signing books immediately after. You will also find her at the expert hub in between those times. Tuesday 2nd April: She’ll be presenting on the Styling Stage at 12pm and 4pm. She’ll be signing books immediately after. You will also find her at the expert hub in between those times. Saturday 6th April: She’ll be presenting on the Styling Stage at 12pm and 3pm. She’ll be signing books immediately after. You will also find her at the expert hub in between those times. Georgina made her debut appearance on ITV’s This Morning upcycling items from her home. 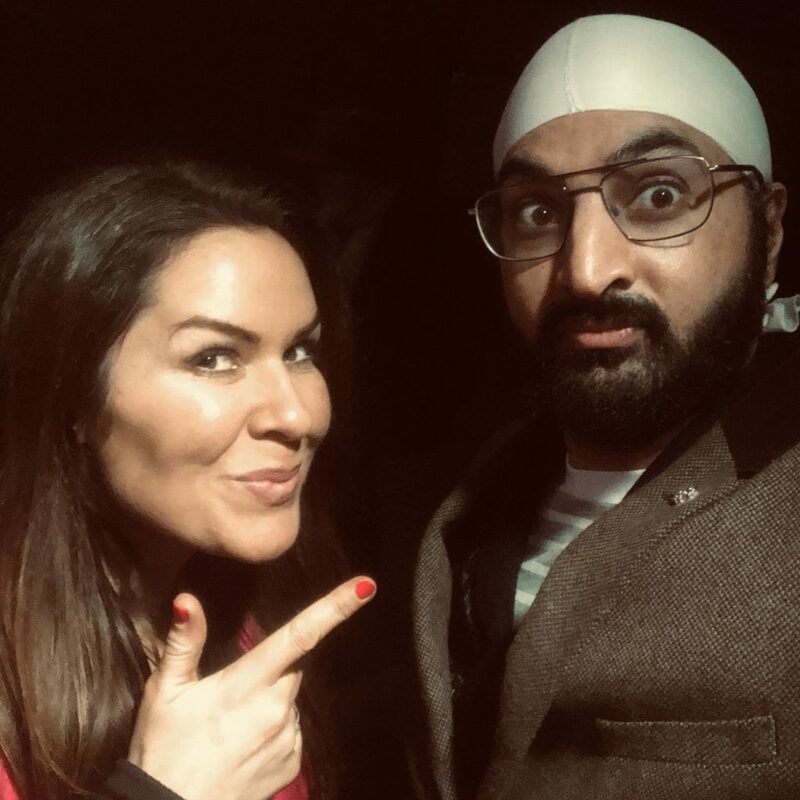 Check out what she did with a chair, tables, shirts and…an umbrella on ‘ITV Hub’ – (13th March). 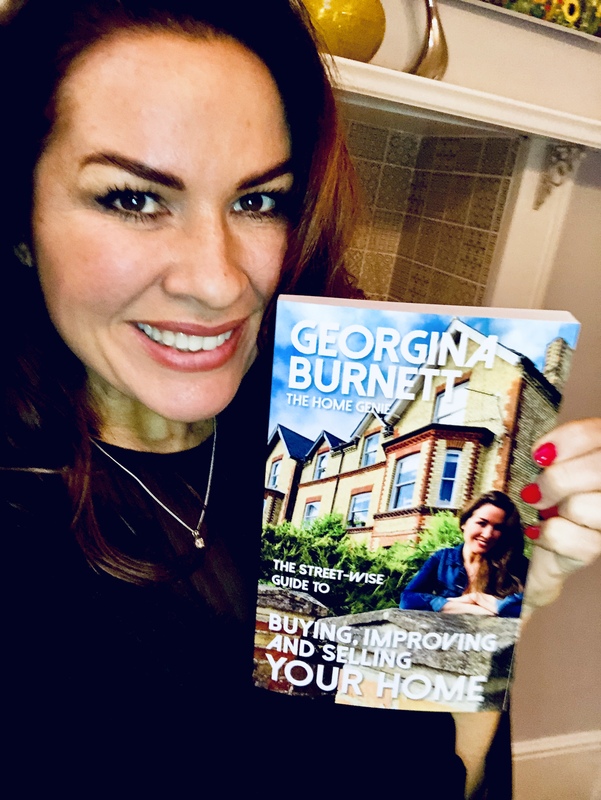 Georgina’s book The Street-wise Guide to Buying, Improving & Selling Your Home is now available to pre-order on Amazon. It will be published in hardback, paperback, digitally and as an audio book in April 2019. 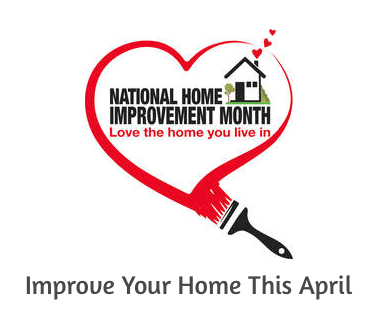 National Home Improvement Month is April 2019 and Georgina has gladly accepted the role of ambassador from BHETA. 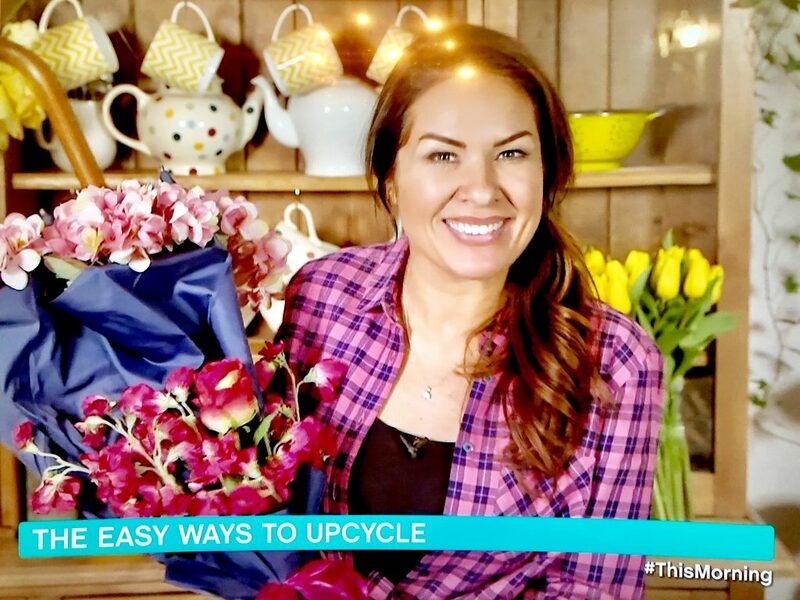 So you can expect to see more of her in magazines, newspapers, on radio and television sharing her experience and tips to inspire the nation to make one significant change to their homes in April. 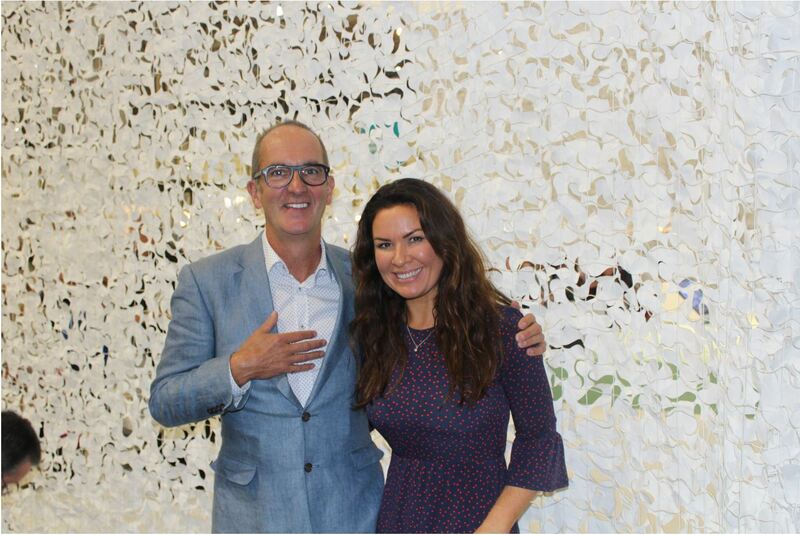 Georgina is joining Kevin McCloud on stage all week at Grand Designs Live in Birmingham. She will be chatting to experts and chairing discussions about self-builds and renovations. 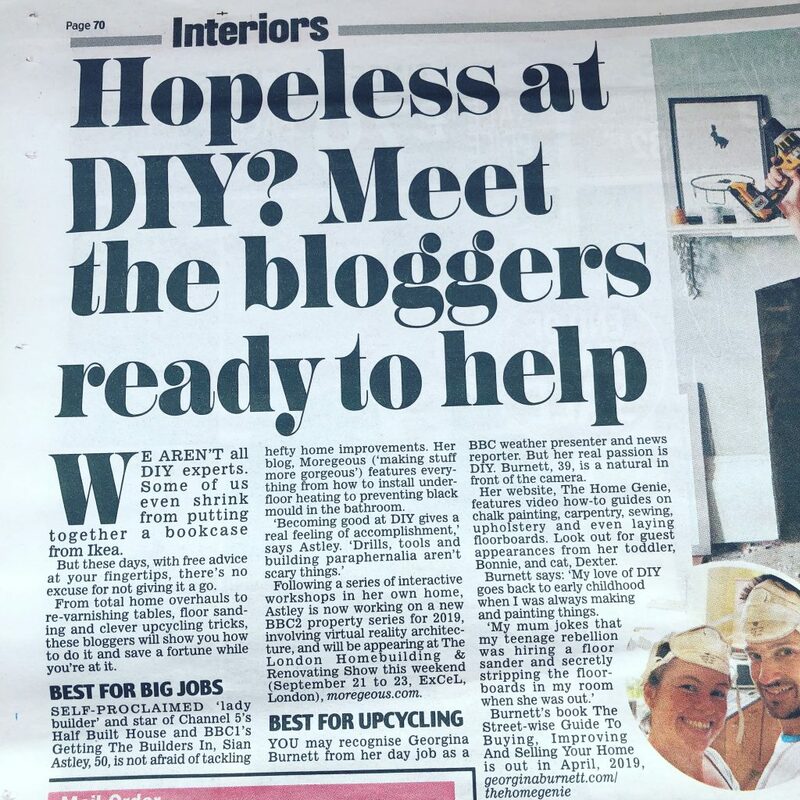 September 2018: The Daily Mail have recommended Georgina as one of the top DIY bloggers, calling her ‘a natural in front of the camera’ (click to enlarge). July 2018: Georgina will be presenting the exciting UK Interior Awards. July 2018: Metro featured one of Georgina’s DIY projects (click to enlarge). 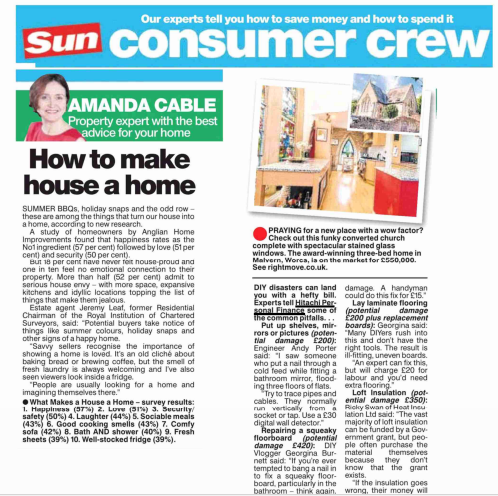 June 2018: Georgina’s advice on getting DIY right was featured in the Sun Newspaper (click to enlarge) and Ideal Home Magazine. May 2018: A Touch of Genie-us! 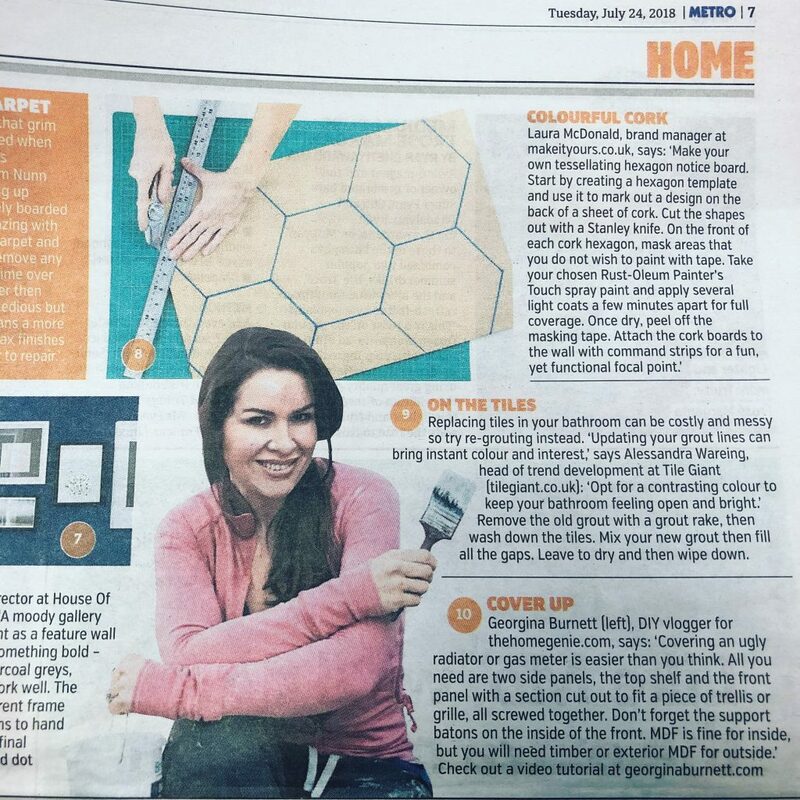 Metro features Georgina on the front of their ‘Home’ section, with a 3 page spread about her renovation successes and addiction to DIY and upcycling. 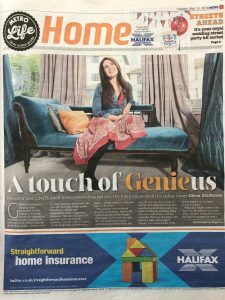 March 2018: The Ideal Home Show welcomes The Home Genie to present at this year’s event. Georgina is very excited to announce she will be speaking at this award winning show on 22nd March at 6pm and 8pm. She will be talking about what it’s like to be a DIY decor vlogger and also how to create life enhancing interiors. Please come along and say hello! The Home Genie will be giving away some tickets over the next few weeks, so follow her on social media to hear more! 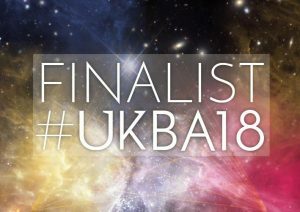 January 2018: The Home Genie is a finalist in the ‘Lifestyle’ category of the 2018 UK Blog Awards! Thank you so much to everybody that voted – it means the world to have got this far. The results are announced in April, and so stay tuned! 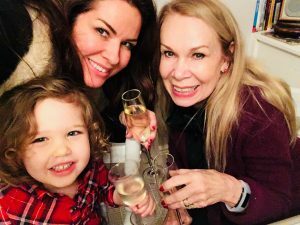 December 2017: Groundwork have announced Georgina as their ambassador. Their focus on DIY training, reducing waste and helping disadvantaged communities makes this a charity close to Georgina’s heart, so she is very much looking forward to working with them. Stay tuned to The Home Genie to see updates on future projects. 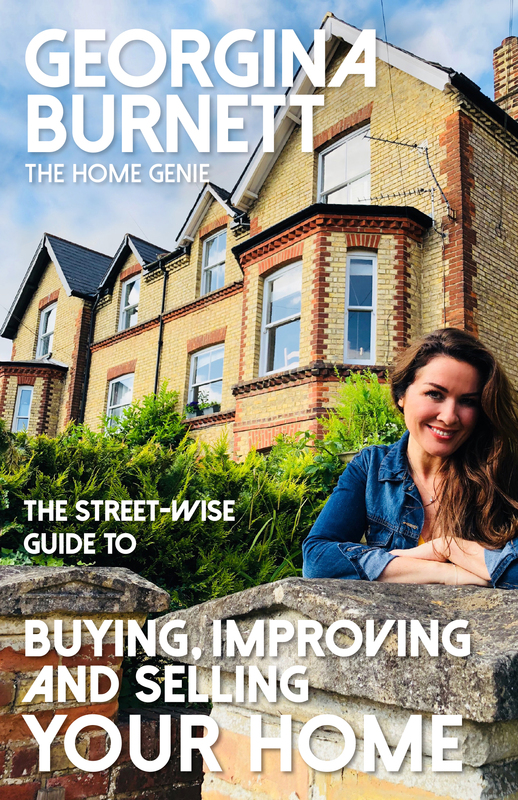 November 2017: From screen to page – Georgina has signed with a publisher and her book ‘The Street-Wise Guide to Buying, Improving and Selling Your Home’ will hit the shops in autumn 2018. This will be available in hardback, paperback and digital editions. Georgina will also hold events where you will be able to get hold of your own signed copy. 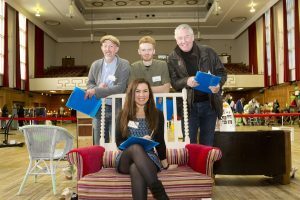 October 2017: The London Upcycling Show has invited The Home Genie to judge this year’s event. Georgina will join a panel of judges, including Groundforce’s Tommy Walsh, to pick the winners from multiple upcycling categories.